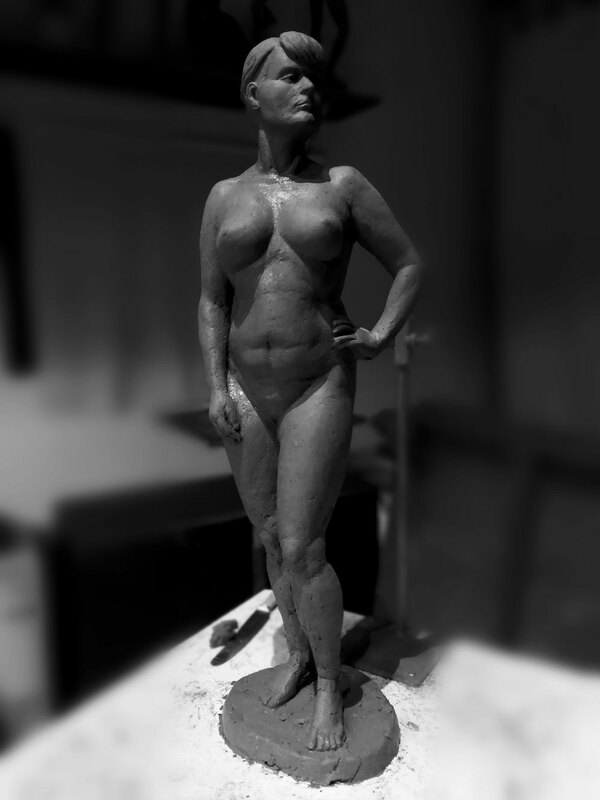 The Life Study is one of the most challenging and rewarding endeavours in sculpture. It is essentially a study of nature with the luxury of having a live model who may create infinite variations for us to study. This is where we really learn to “see”. The class begins with drawing as the class, teacher, and model settle on a pose which best serves as a sculptural study and also brings out the unique “essence” of the particular model. If required, a maquette and/or an armature will be made before the clay modelling begins. The full study then commences as we continue to draw in clay from all aspects of the model. Over the duration of the study the sculpture is continually developed as proportions and rhythms are clarified, and the surface becomes more subtly modelled. Always we are brought back to seeing the essence of the pose simply. In this way we are more easily able to problem solve the fundamentals before going deeper into the complexity of the figure. 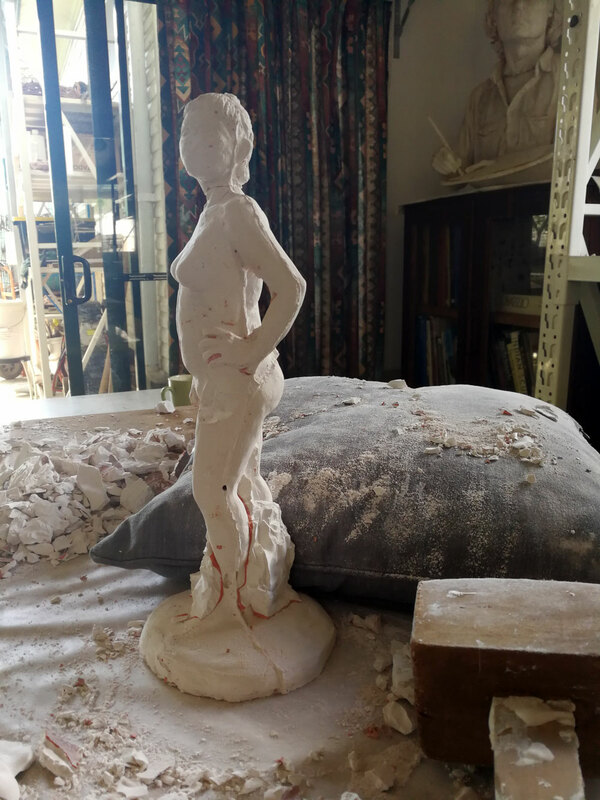 When the pose is complete we progress to the mould making and casting process. For further information please make an enquiry.